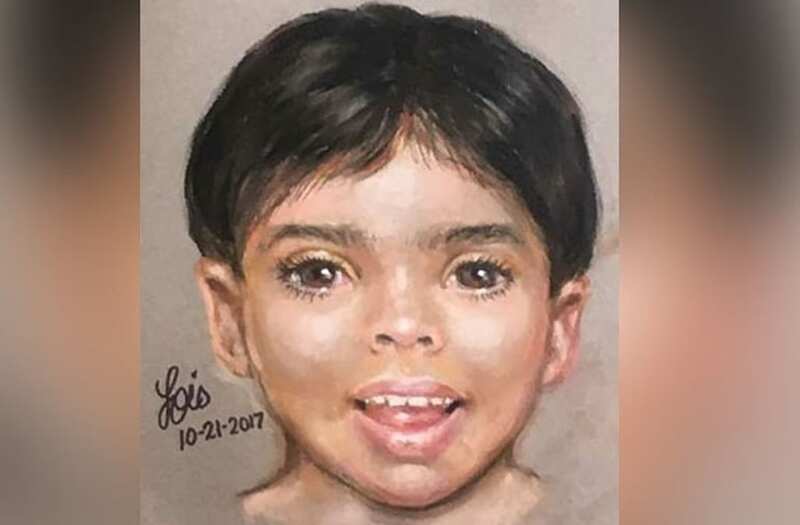 Police are looking for the public's help to identify a young boy whose lifeless body washed ashore on a beach in Galveston, Texas, on Friday evening. The child, described as a "three to five year old white male," is roughly 3 feet tall, weighs around 30 pounds and has medium-length black hair and brown eyes, according to the Galveston Police Department. His body was found by a 911 caller around 5:30 p.m. on a stretch of beach described as not being "heavily traversed." Although authorities have been scouring missing person records to find a report matching the boy's description, they have not yet been able to find one. "This is an extremely unusual case for Galveston Island, and the circumstances surrounding this death grow more and more suspicious as time goes on," the department wrote on Facebook. According to Joshua Schirard, operations bureau commander at the Galveston Police Department, this case is particularly unusual because the vast majority of drownings that occur on Galveston beach are reported by someone accompanying the victim. "Someone saw them go in the water. Someone tried to save them. Someone helped pull them out and it was just too late," he said. "That's what makes this so different. We don't have bodies just wash up on our beach with no story behind them, much less 3 to 5-year-old children." Anyone with information relevant to the case is being urged to call the Galveston Police Department at 409-765-3702 or Galveston County Crimestoppers at 409-763-8477.